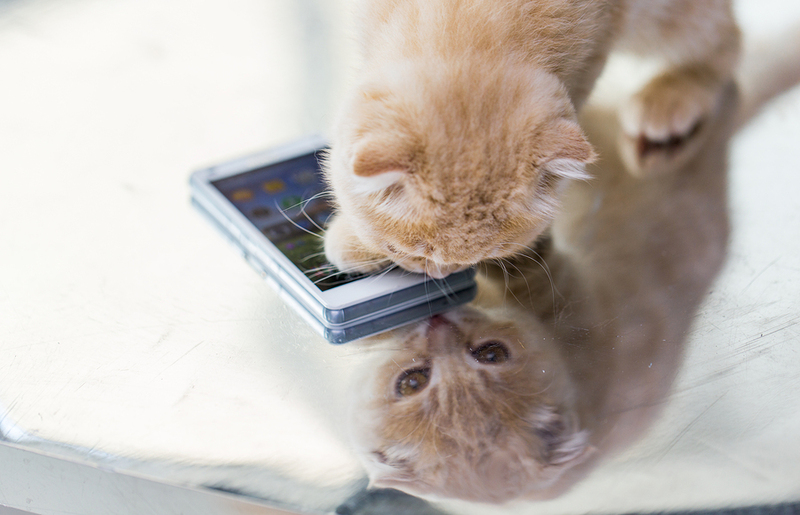 A reader wanted to know what apps and devices I like for pets and pet owners. I pulled in my daughter, trainer Mikkel Becker, and here’s what we came up with! Q: Do you have any favorite apps or tech toys for training, playing with or protecting dogs and cats? A: Do we ever! There are apps to help lost pets get home, devices that deliver treats remotely and more. The Pawscout tag emits a low-energy Bluetooth radio signal. If a dog or cat designated as lost comes within 300 feet of a phone running the Pawscout app, the phone signals the person carrying it to notify the owner with the pet’s location. It works best if you ask lots of neighbors, friends and family members to install the app, increasing the likelihood of someone locating your pet with it. You can also use it to track the length of dog walks in urban areas. The tag is $19.95, with no monthly fees, and the app is free. The Gibi tracker attaches to a collar or harness. Using the app, set up a safe zone for your dog, and the device monitors your pet’s location, notifying you by text or email if your pet leaves the safe zone. Through the app, you can then check Google Maps to pinpoint your pet’s location. Cats are masters of relaxation, but sometimes even they need a little help to chill. The Relax My Cat app uses music specially composed for cats and offers options for different moods or events, such as playtime or bedtime, including one for separation anxiety. The Android version is free; iOS is $2. PetCube Bites, an HD camera, allows you to see, talk to, play with and reward your pet remotely. Load it with up to 100 treats and program it to fling them up to 6 feet away. Ask your dog or cat to do tricks for treats. It’s a great way to provide play and attention, even if you’re not home. $229.